These ZWindup Flippers do a simple, but amazing trick. Each animal leans down and then suddenly flips backwards! Collect all of these limited edition Flippin Windups. Our cute Flippin Peter Penguin leans down does a back flip over and over again. 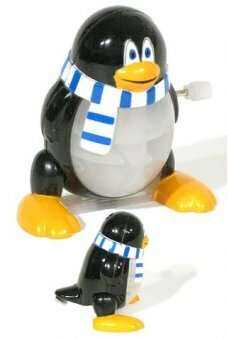 This acrobatic translucent plastic pengu..